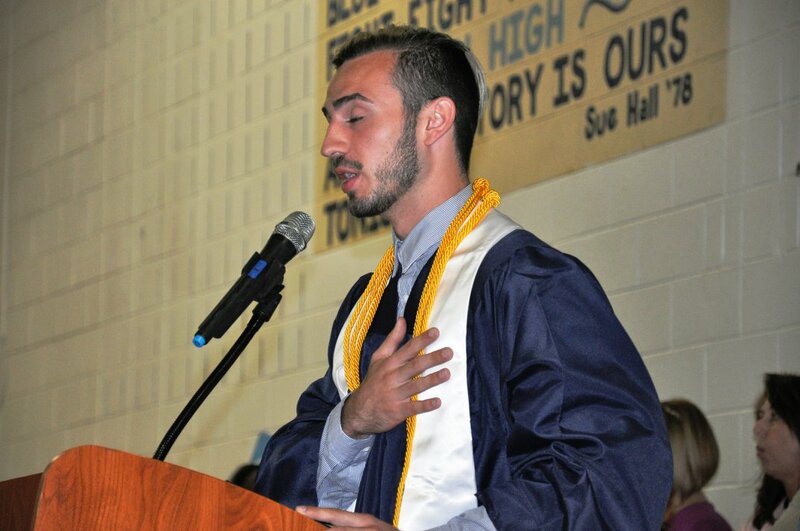 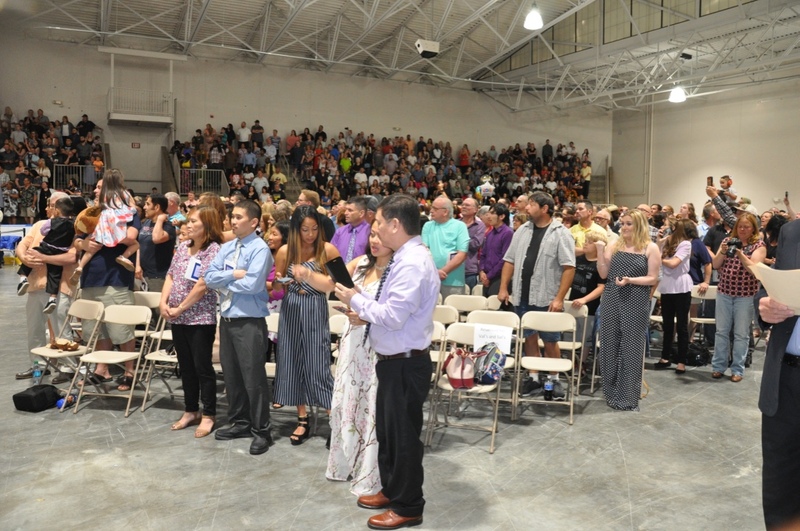 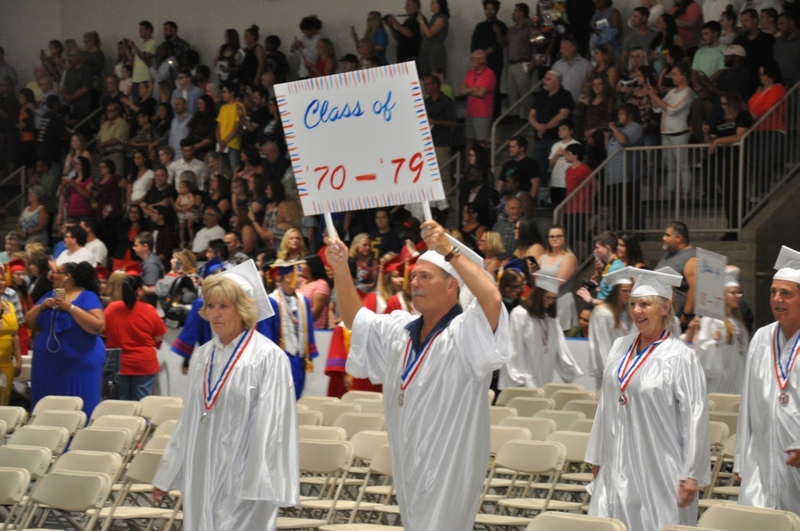 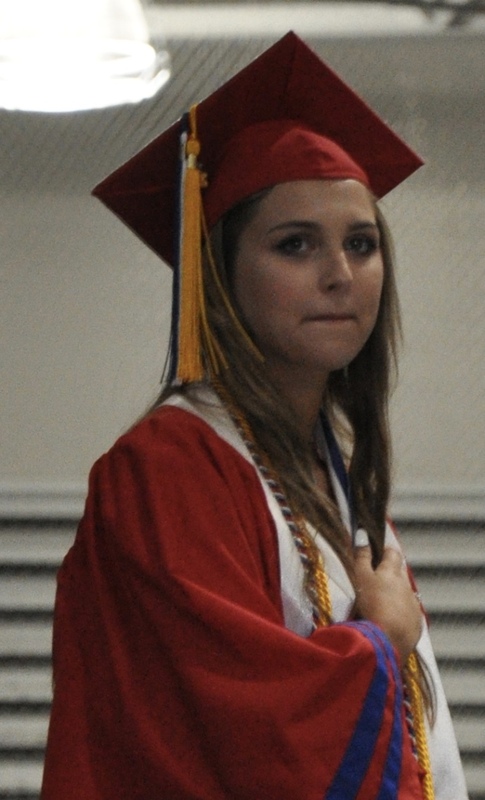 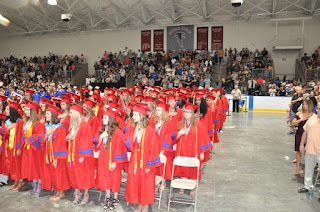 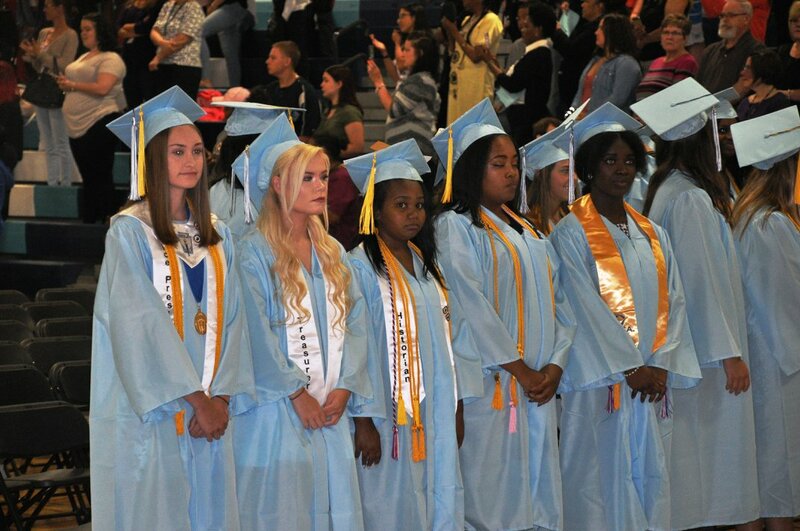 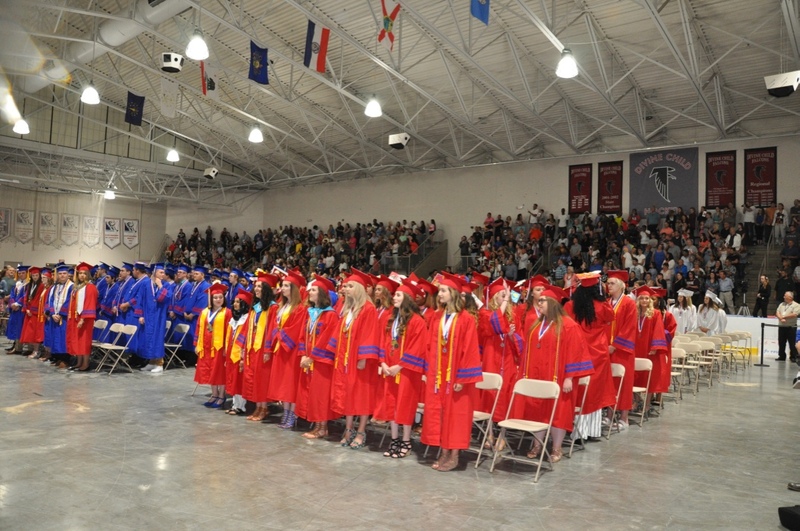 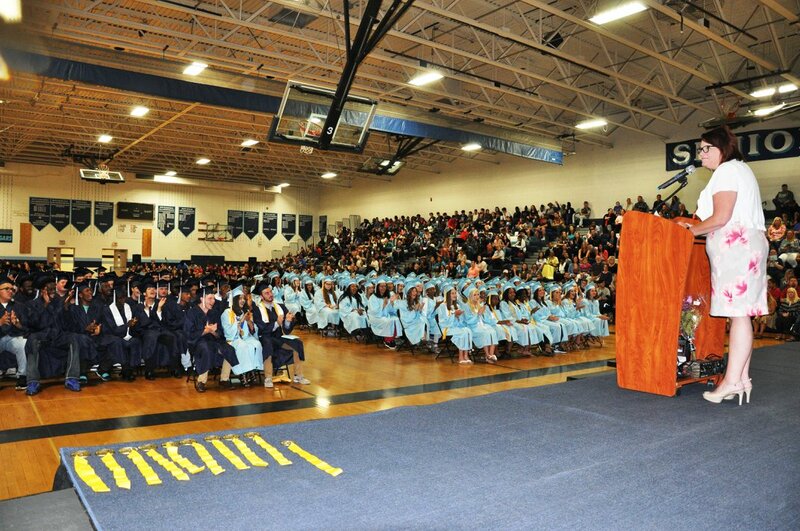 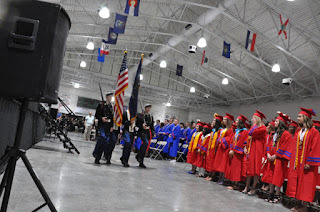 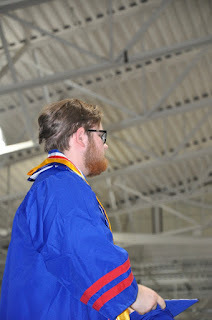 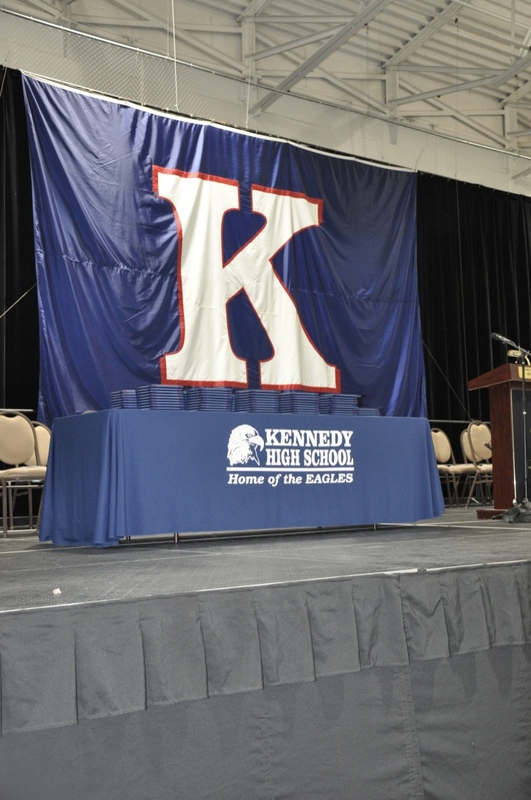 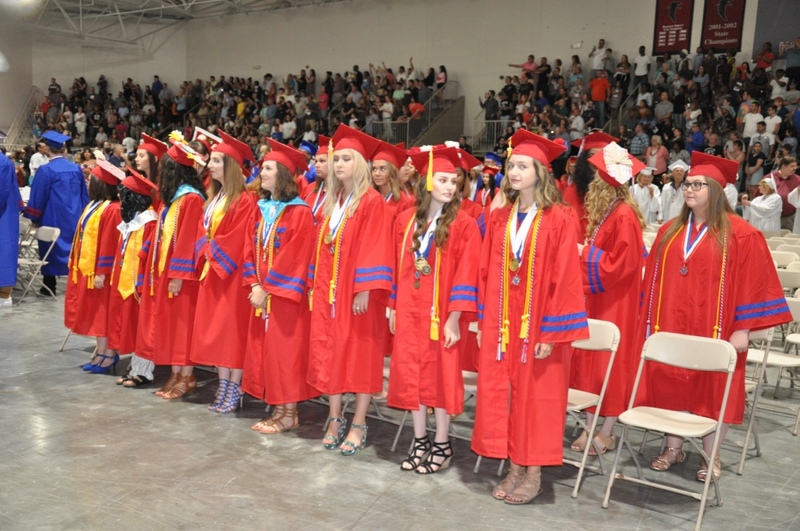 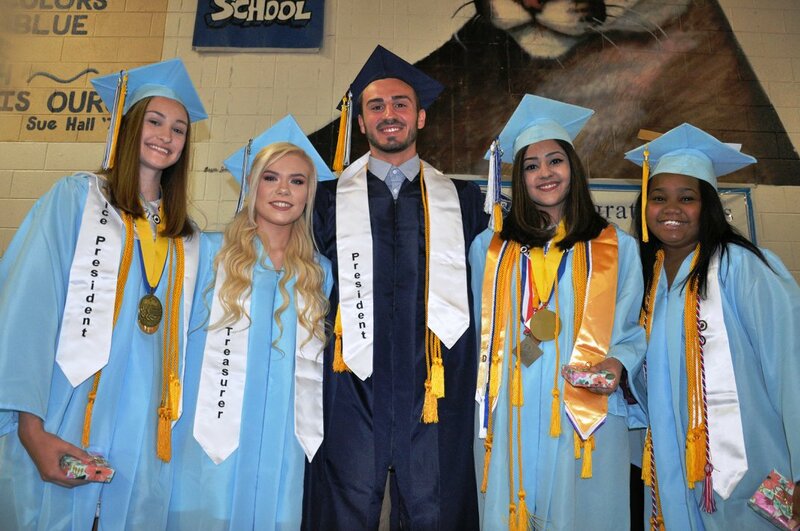 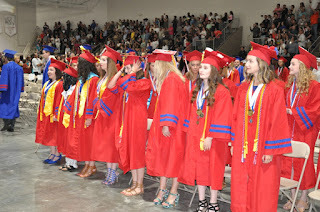 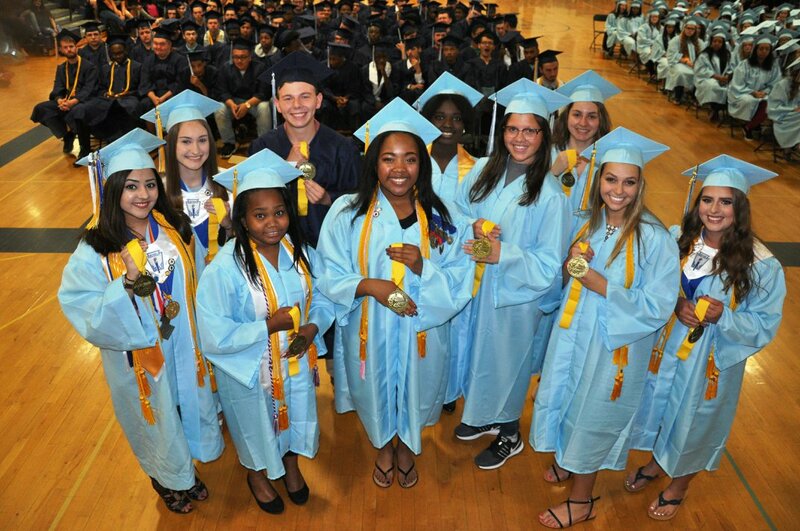 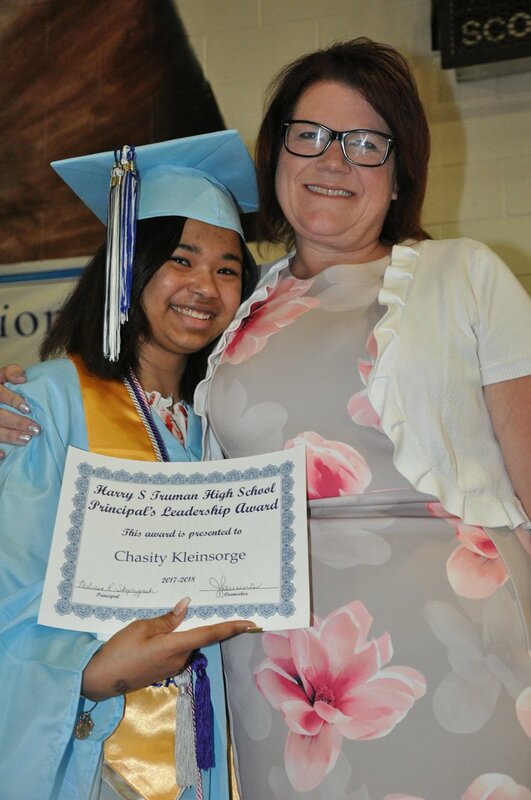 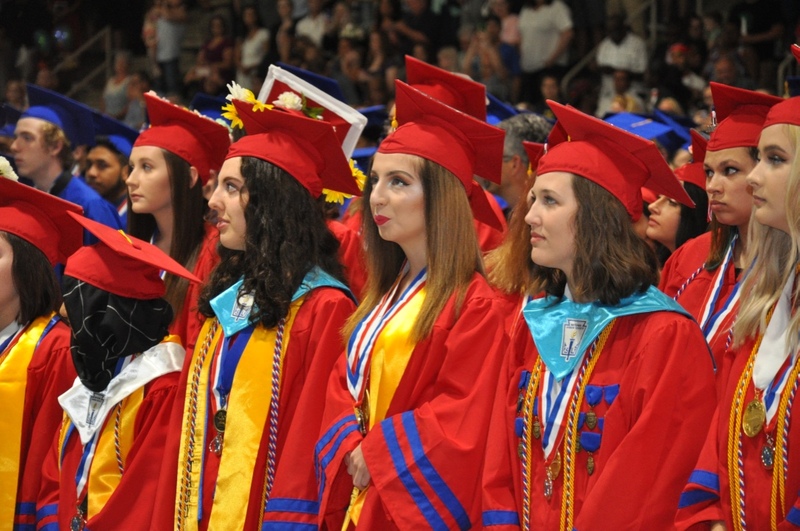 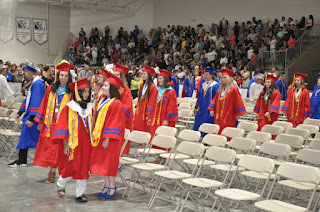 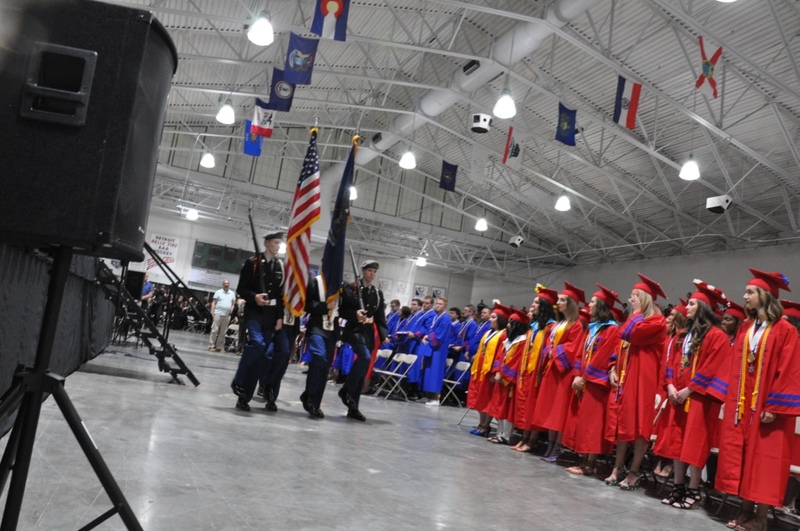 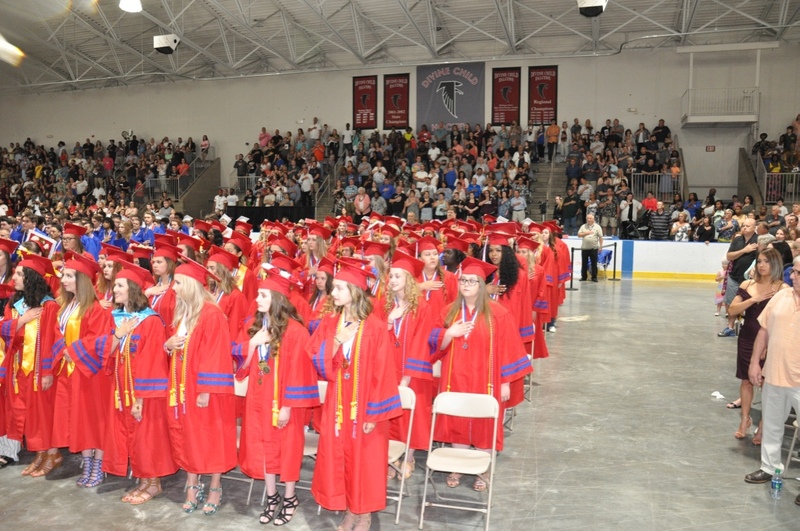 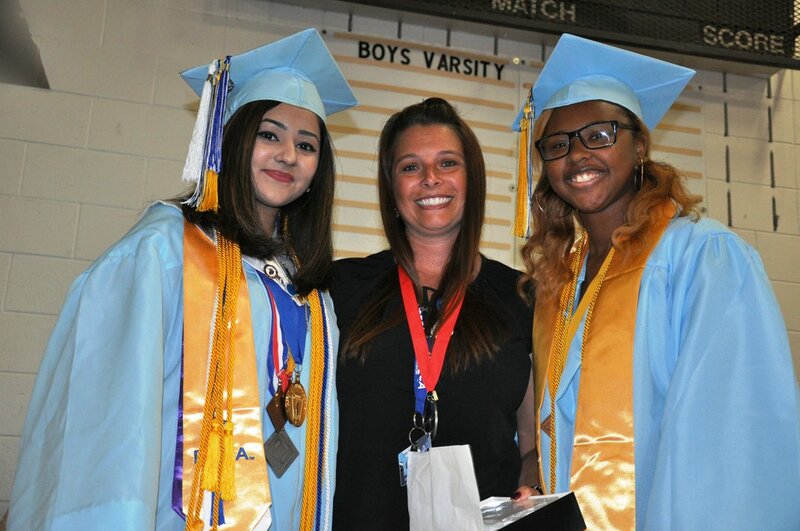 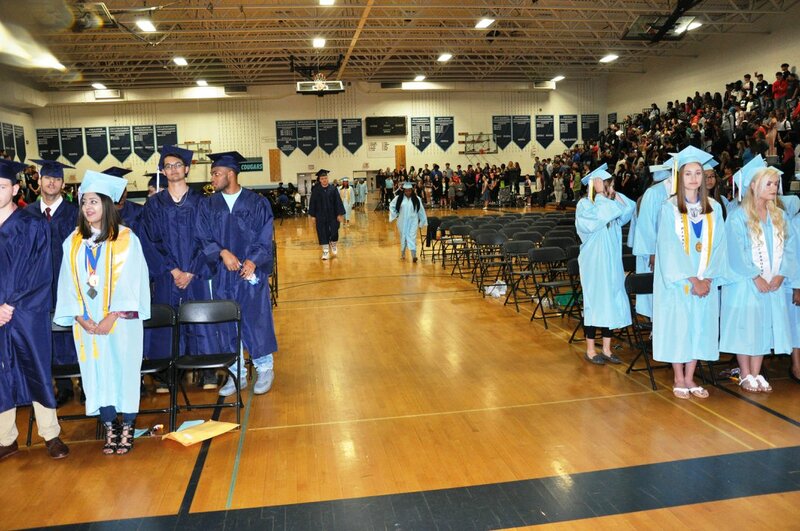 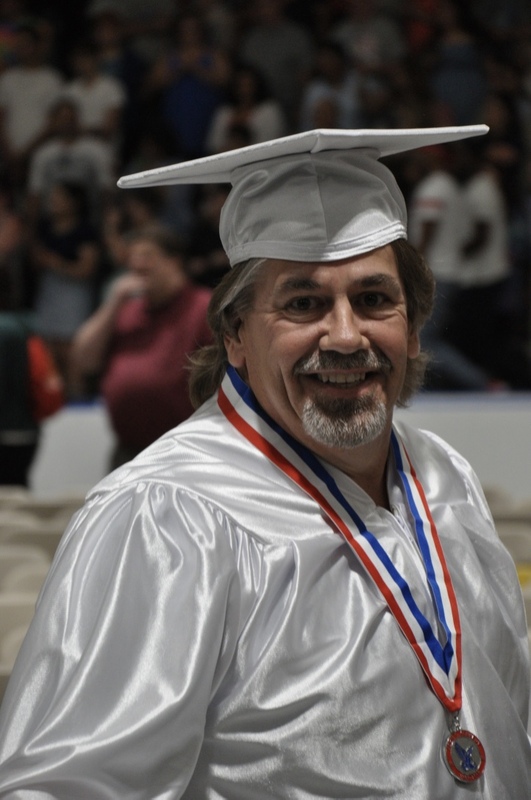 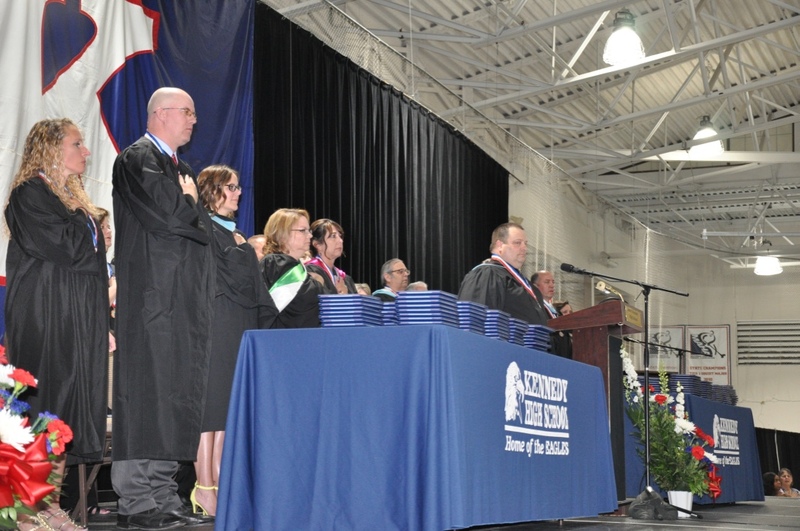 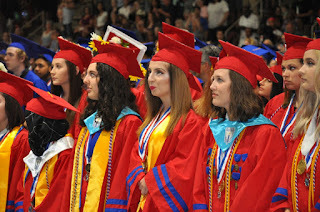 Kennedy High School held graduation ceremonies for its final class on Friday, June 8, at the Taylor Sportsplex. 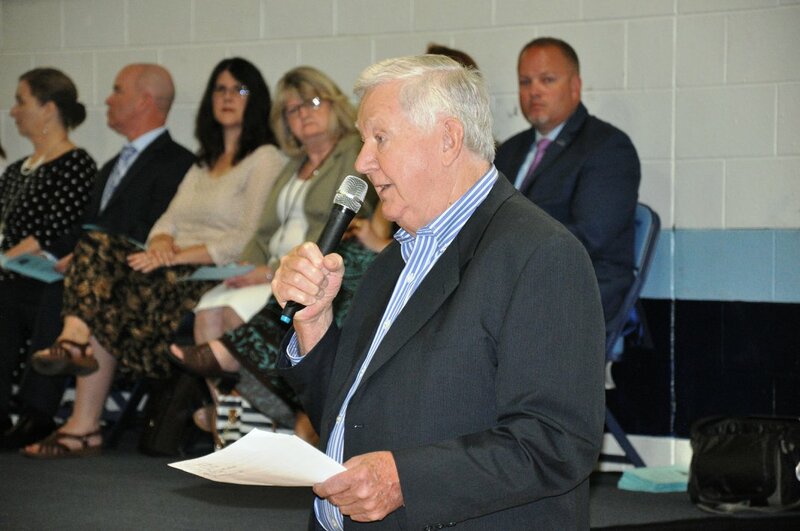 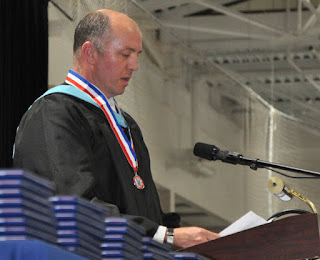 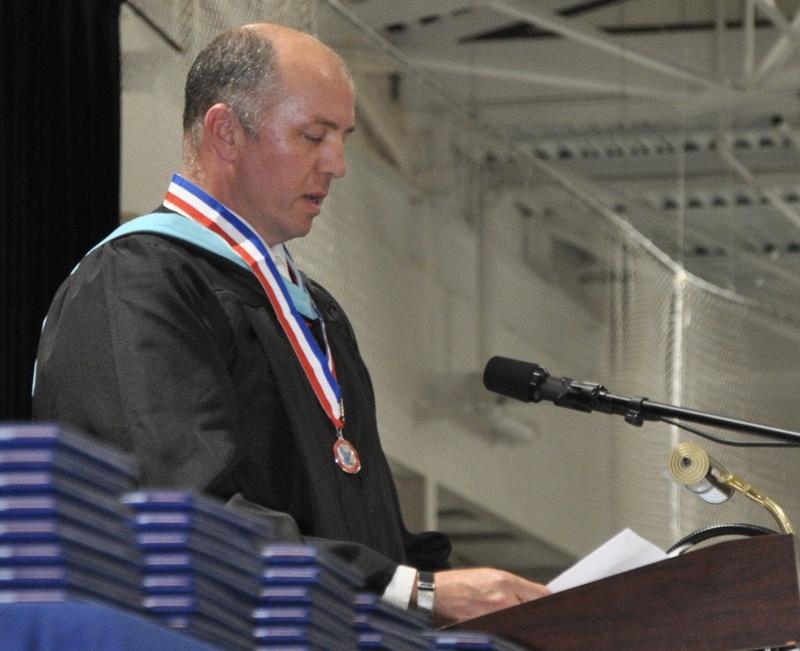 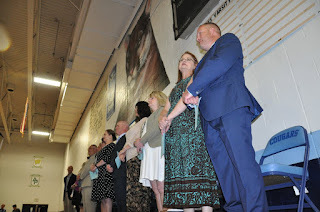 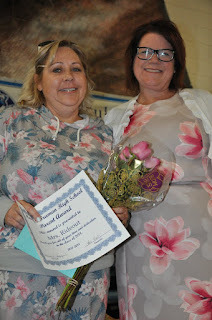 Included were master of ceremonies Principal Tommie Saylor and keynote addresses by teachers who were selected by the class: Chris Burnett, Chad Putnam and Amber McNew. 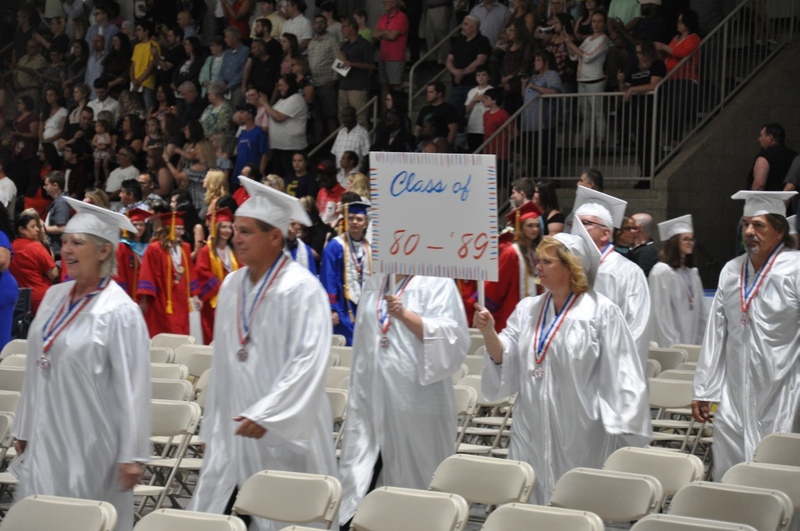 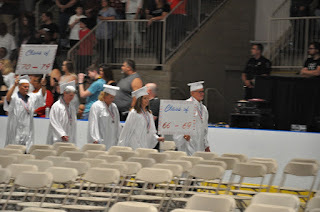 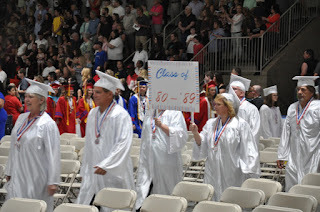 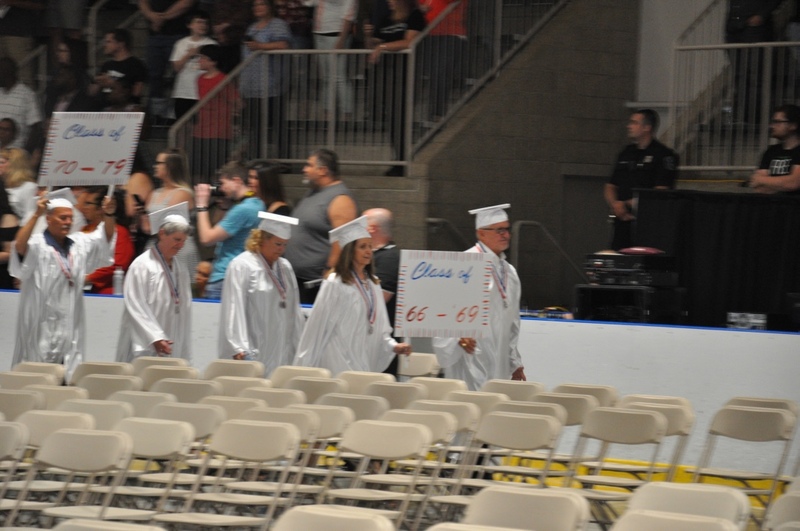 Included in the procession were many graduates from past classes at Kennedy High School, who carried the sign of their graduating classes. 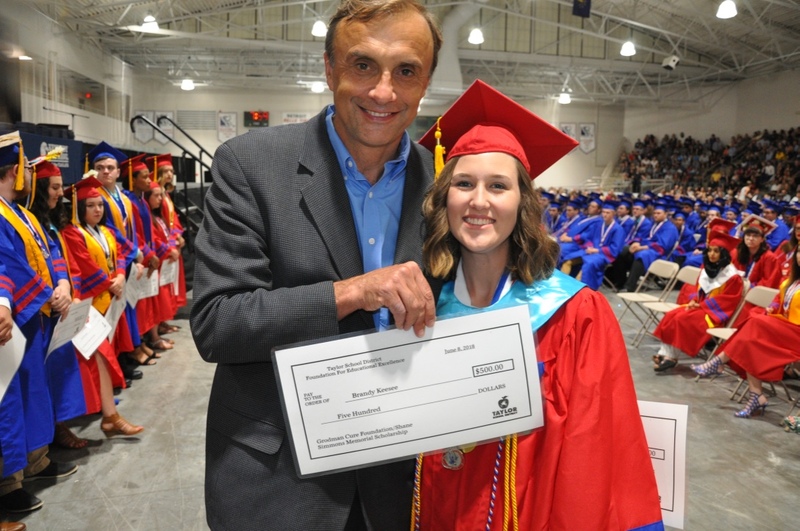 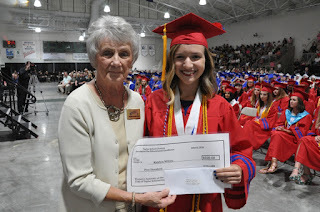 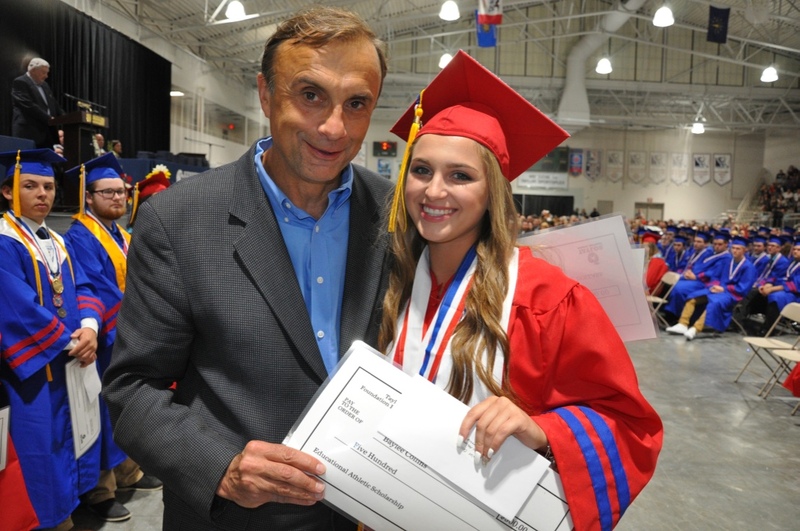 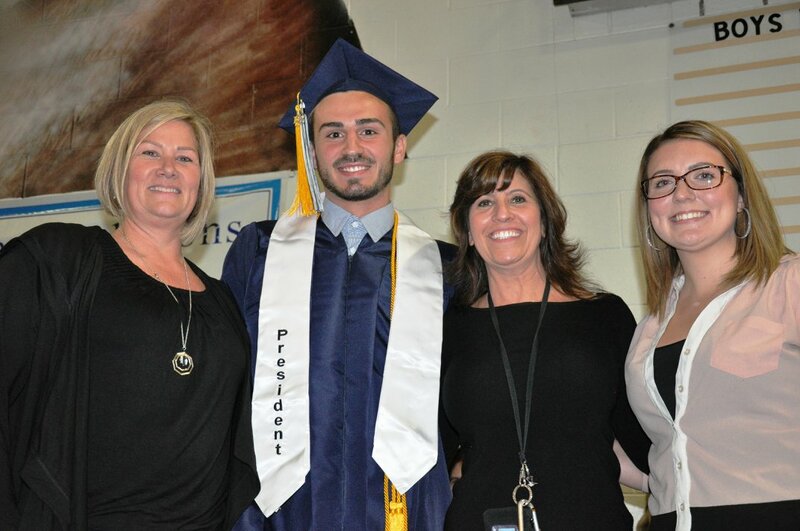 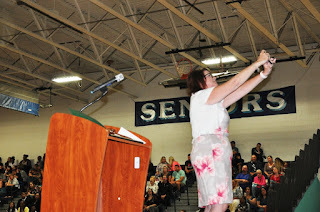 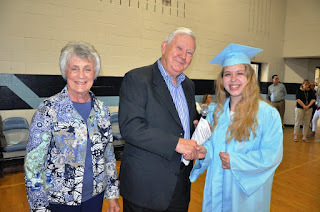 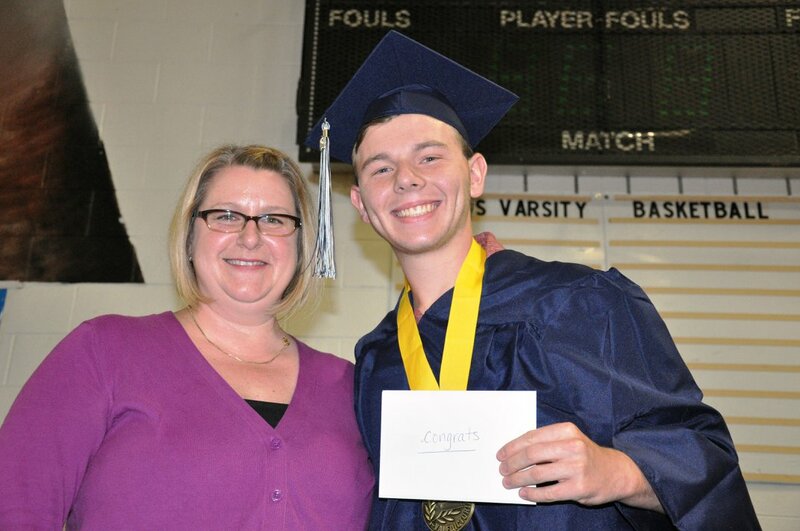 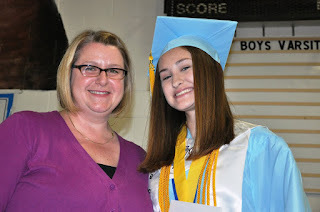 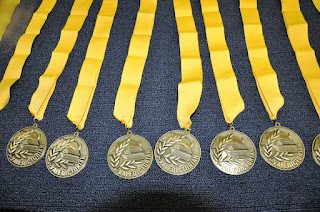 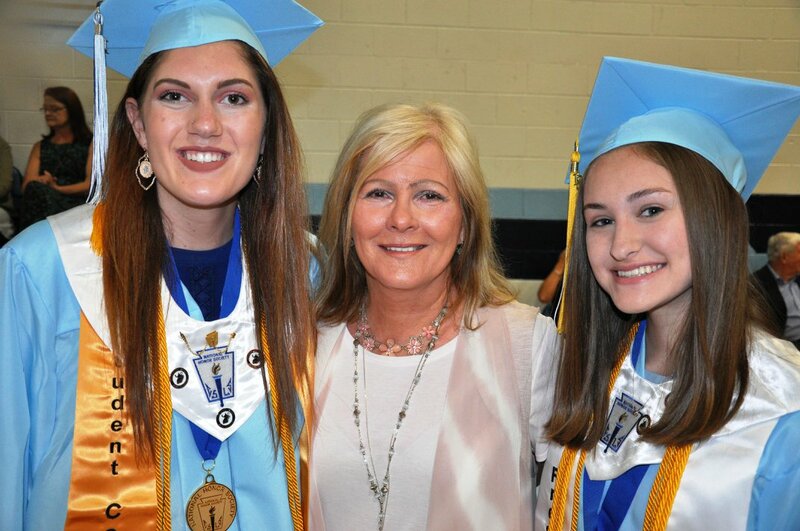 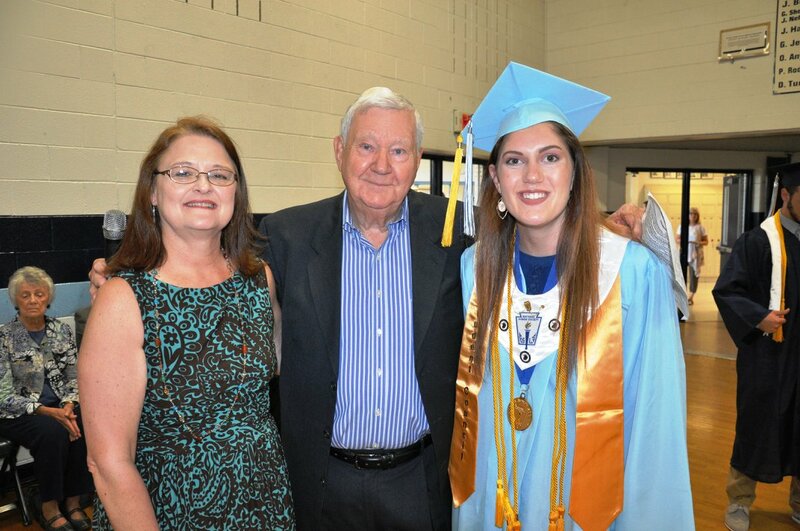 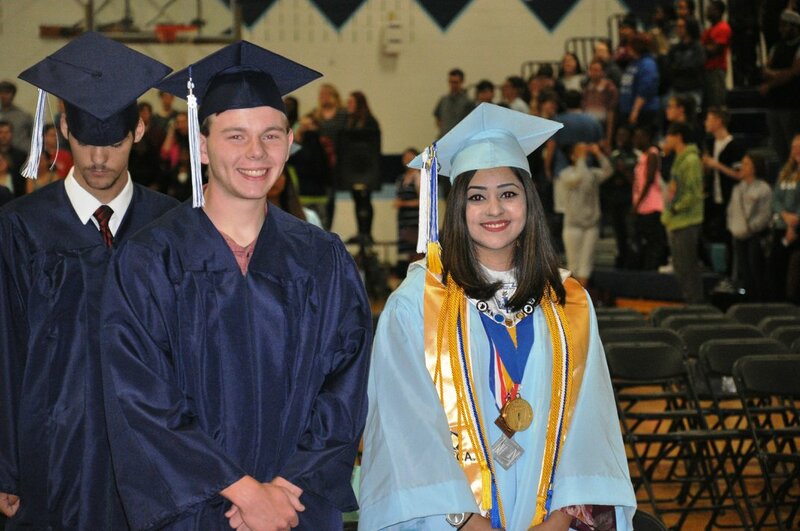 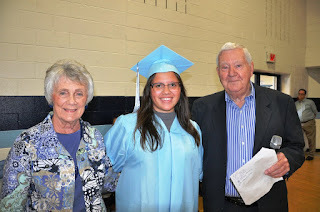 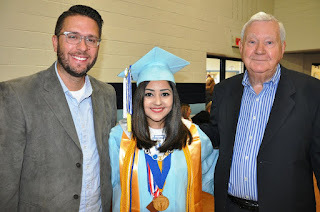 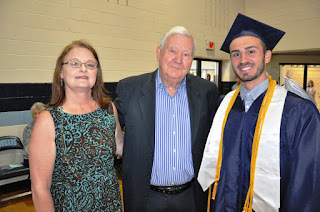 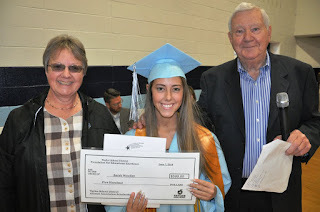 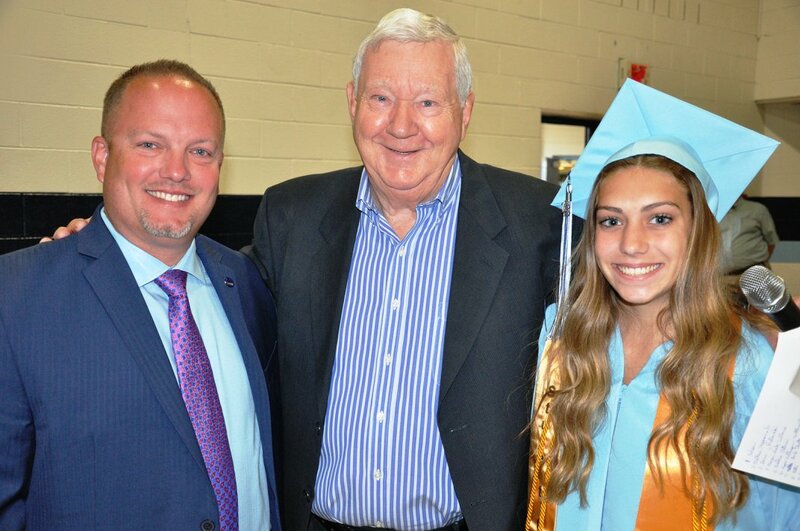 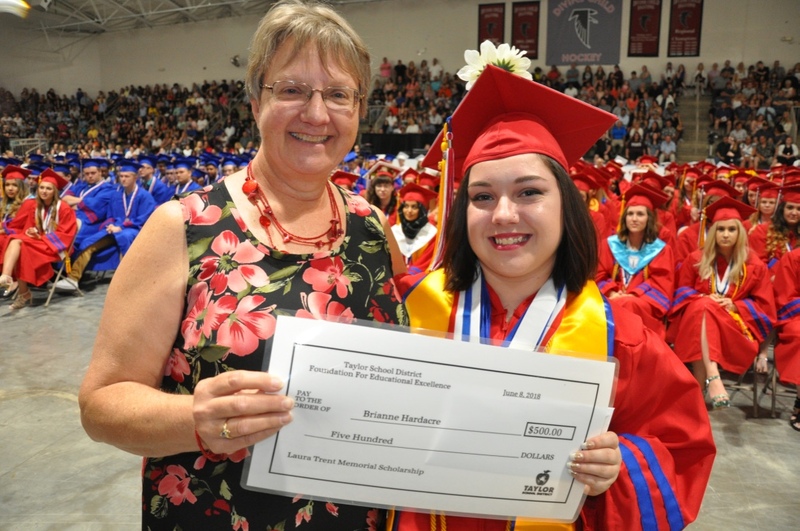 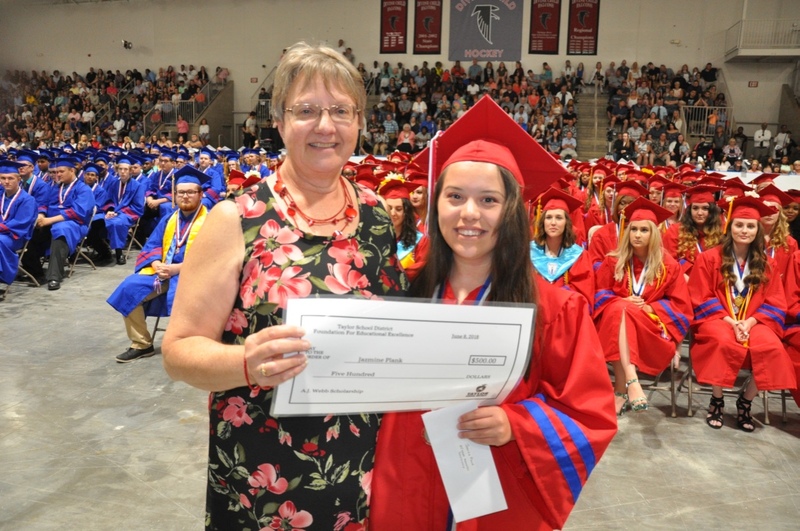 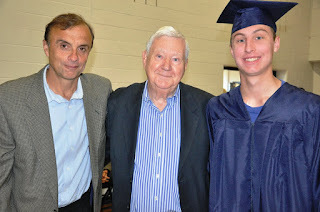 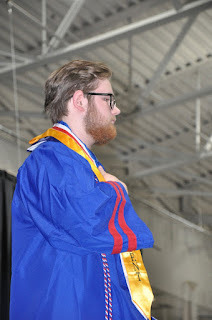 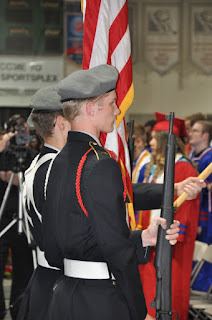 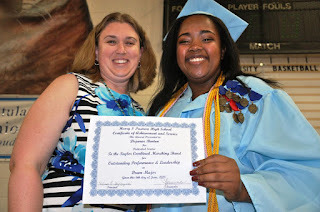 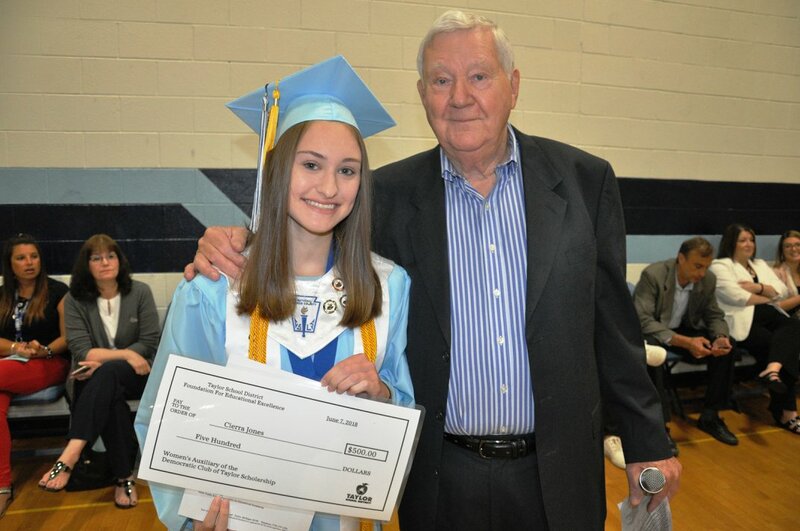 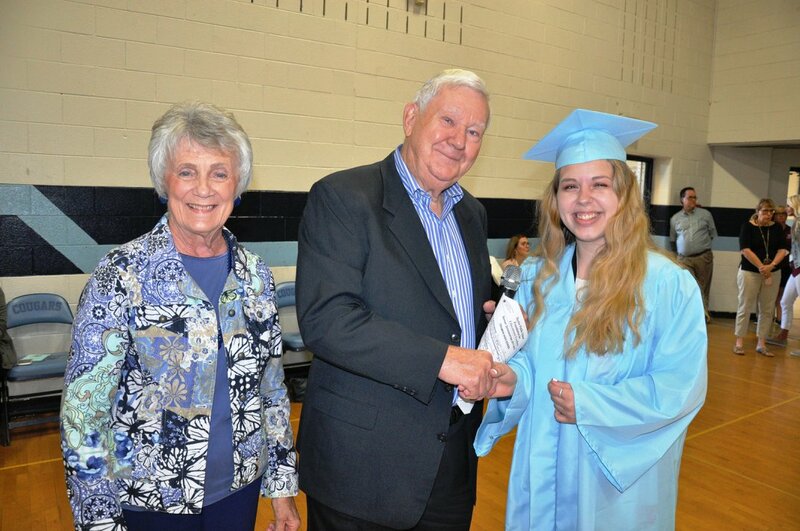 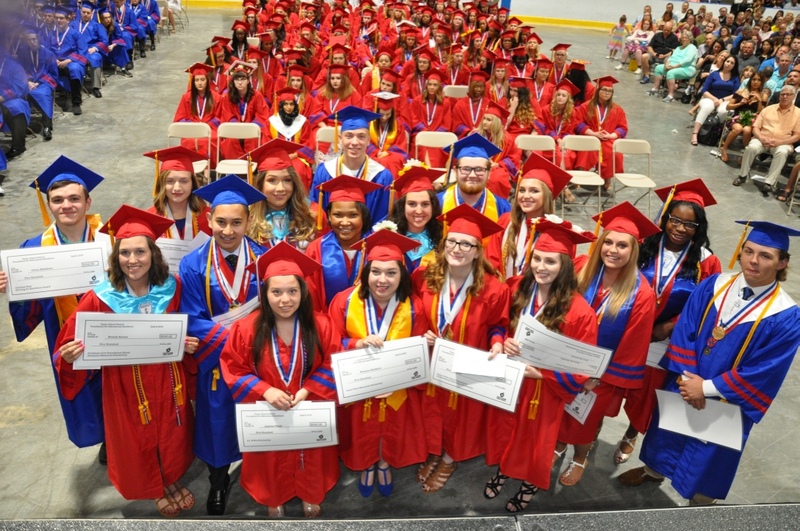 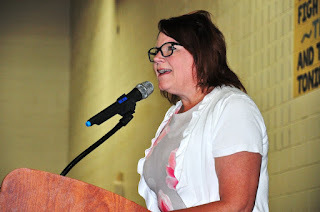 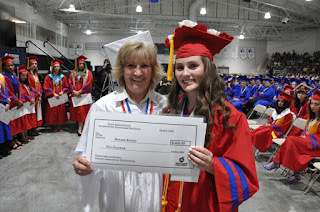 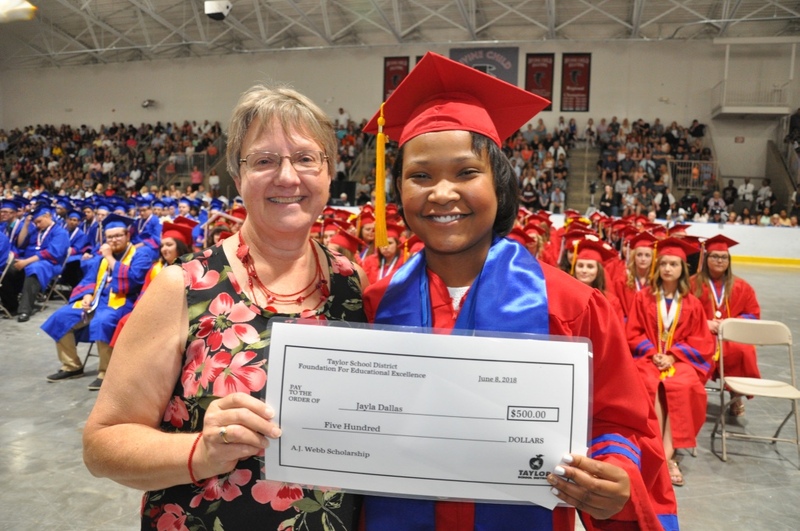 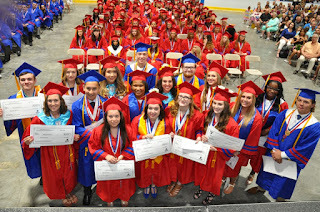 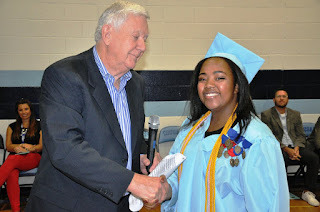 The annual scholarship awards from the Taylor Public School Foundation for Educational Excellence were held for the graduation ceremonies, instead of being handed out during the Farewell Assembly at the school earlier in the week. 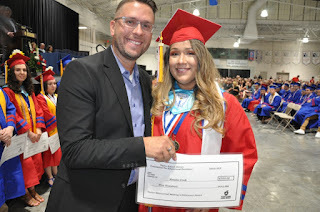 Jazmine Plank ($500) A.J. Webb Memorial Scholarship. Jayla Dallas ($500) A.J. 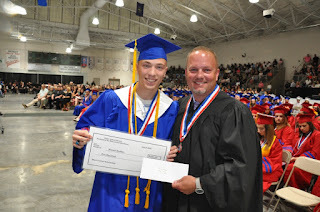 Webb Memorial Scholarship. 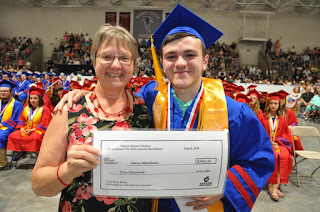 Owen Matthews ($500) Award for Educational Achievement. 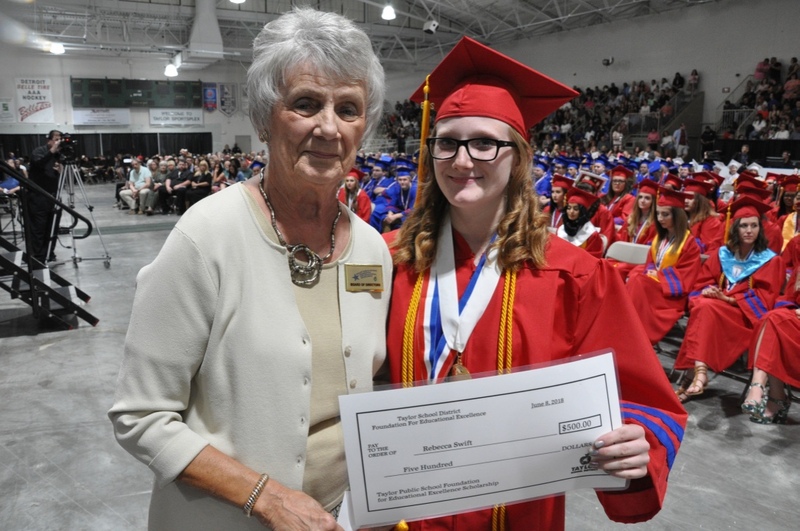 Violet Ramage ($1,000) Ann Robertson Drank Scholarship. 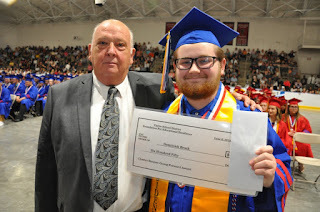 Dominick Brock ($650) Charles Bonner Going Forward Award. 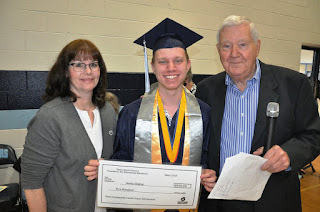 Ethan Harris ($1,250) Charles Dickelman University of Michigan Scholarship. 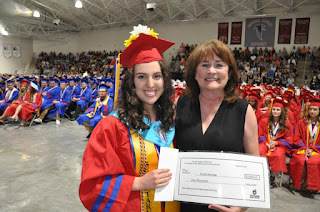 Baylee Collins ($500) Educational Athletic Scholarship. 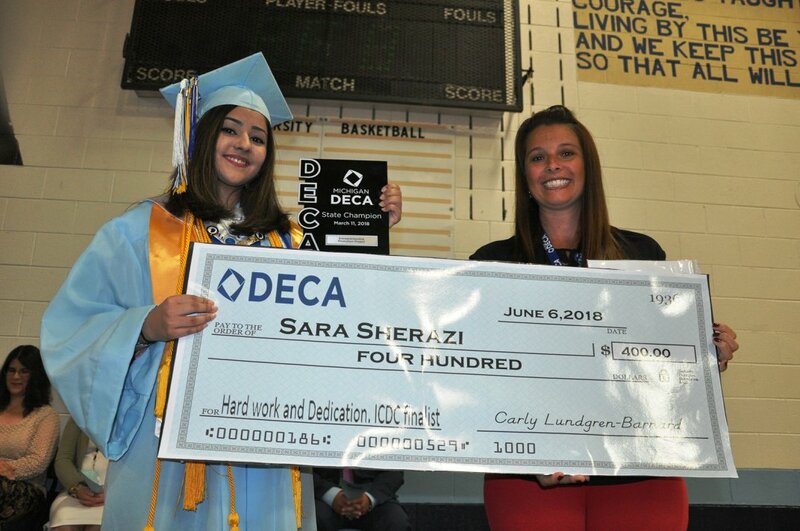 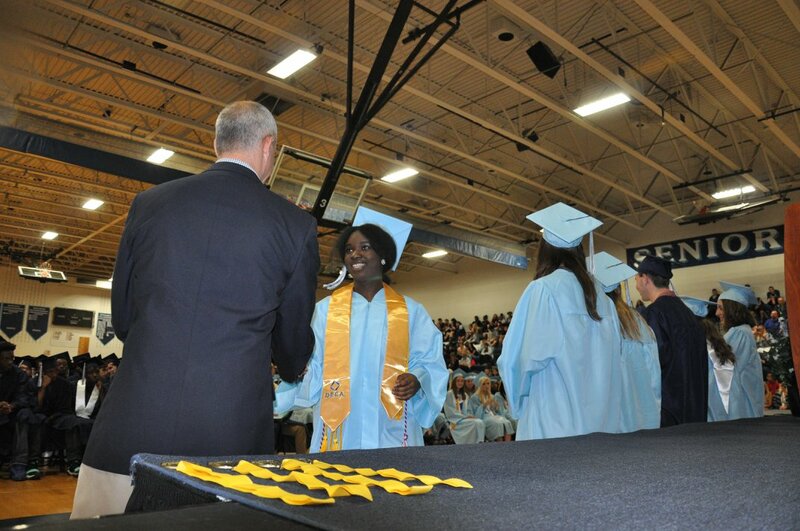 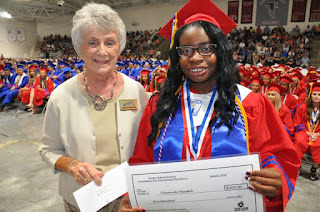 Chinweoke Ezeokoli ($500) Dearborn Federal Credit Union Educational Achievement Award. 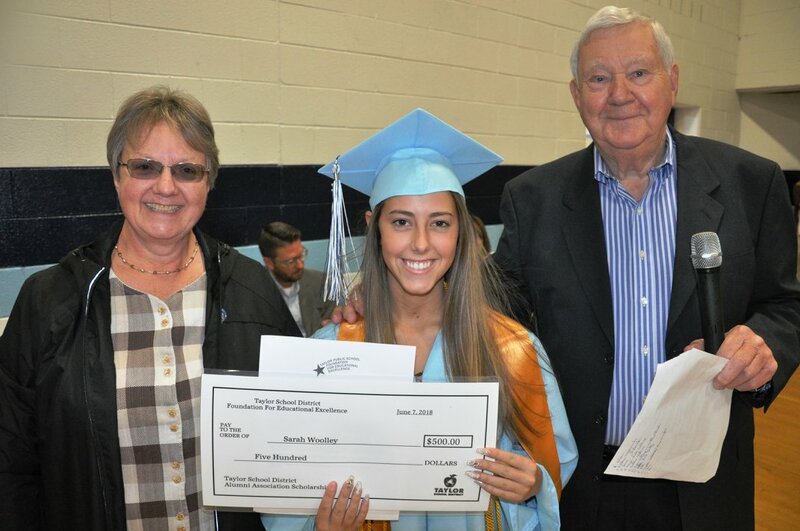 Brianne Hardacre ($500) Laura Trent Memorial Scholarship. 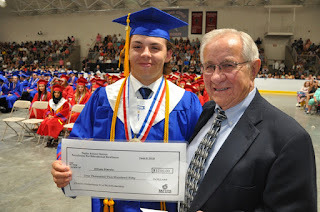 Hunter Rodden ($500) Mayor Rick Sollars Scholarship. 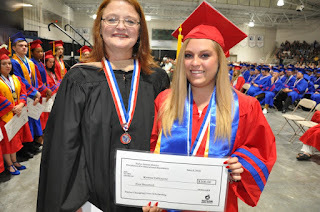 Kirsten Vallimont ($500) Taylor Changing Lives Scholarship. 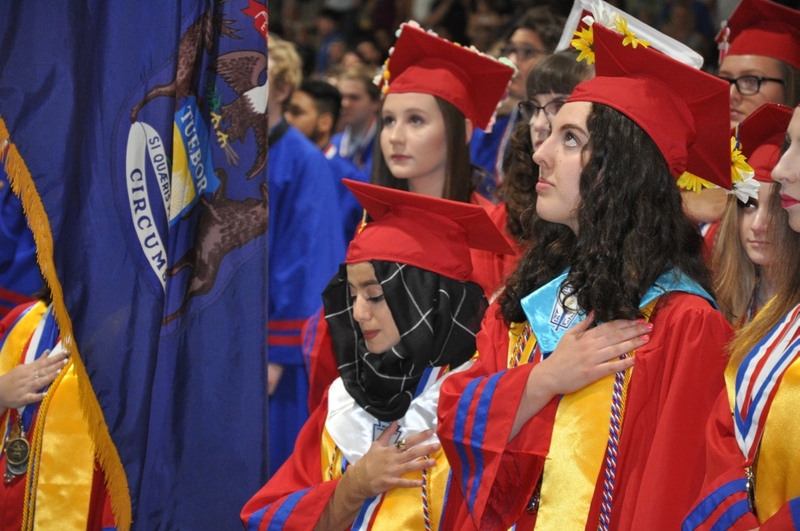 Truman High School held what will be its final Farewell Assembly on Wednesday, June 6, honoring the Class of 2018. Next year, the building will be transformed into the all-new Taylor High School, merging the Kennedy and Truman student bodies into one. 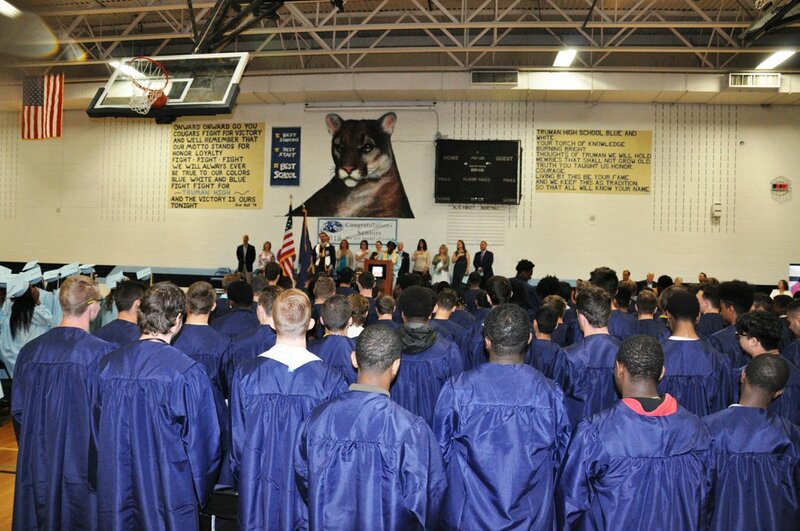 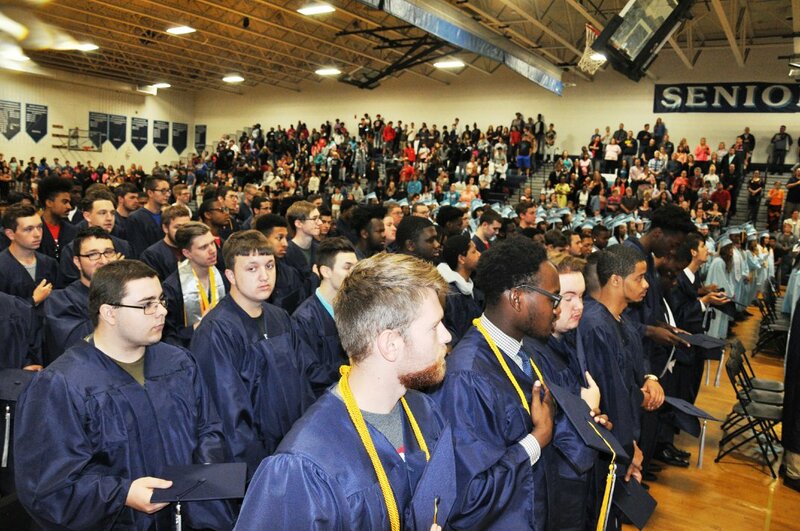 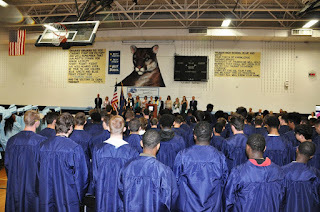 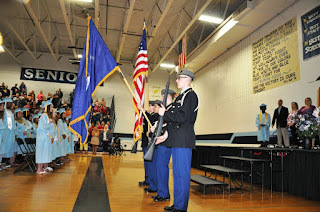 The assembly, as usual, was held before a packed gymnasium crowd of students, friend, family and official guests. 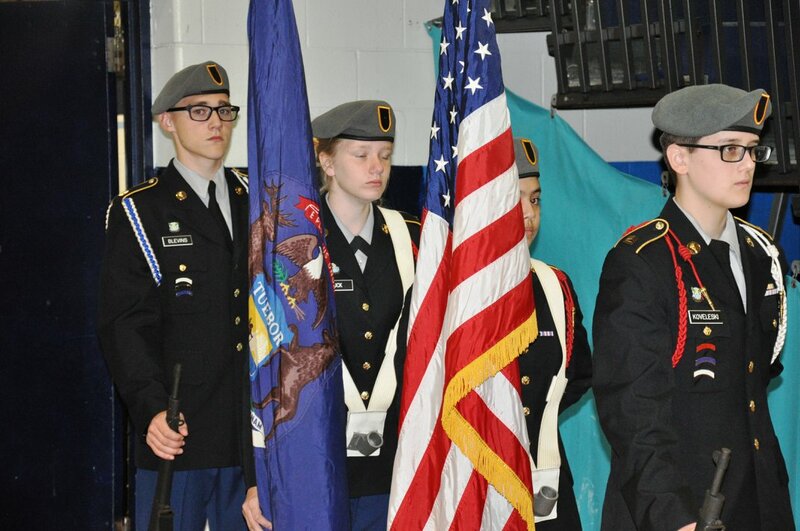 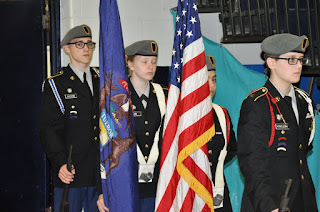 Highlights included some tremendous music from the band and chorus, special awards and a rousing edition of the Truman Fight Song led by a Cougar football jersey-clad Principal Melissa Skopczynski at the very end of the program. 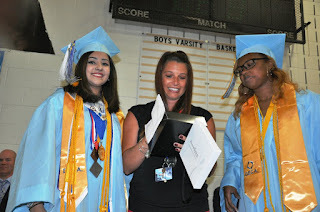 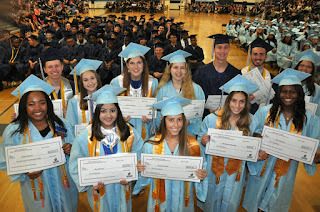 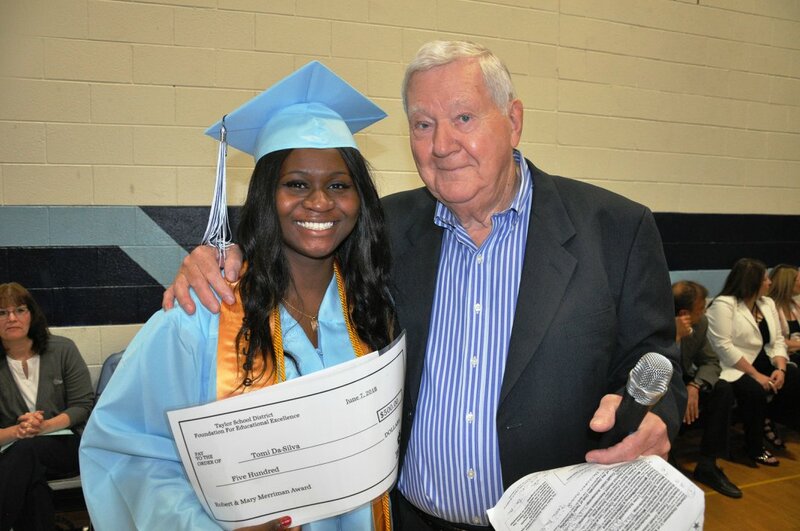 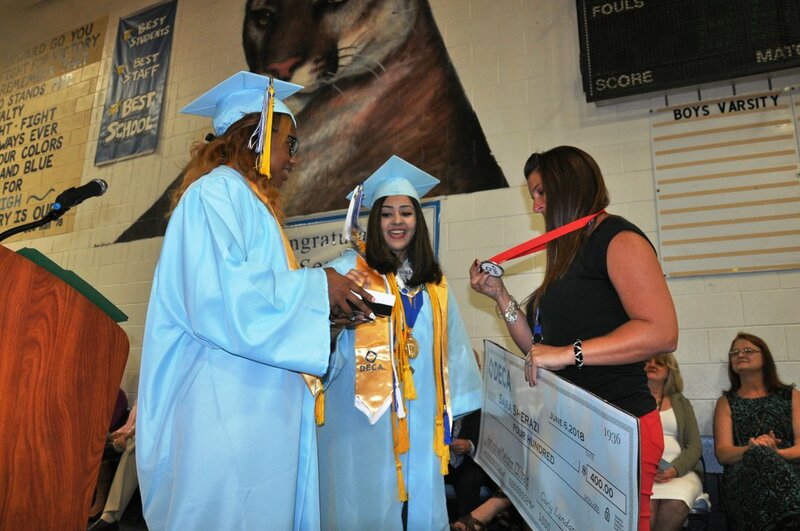 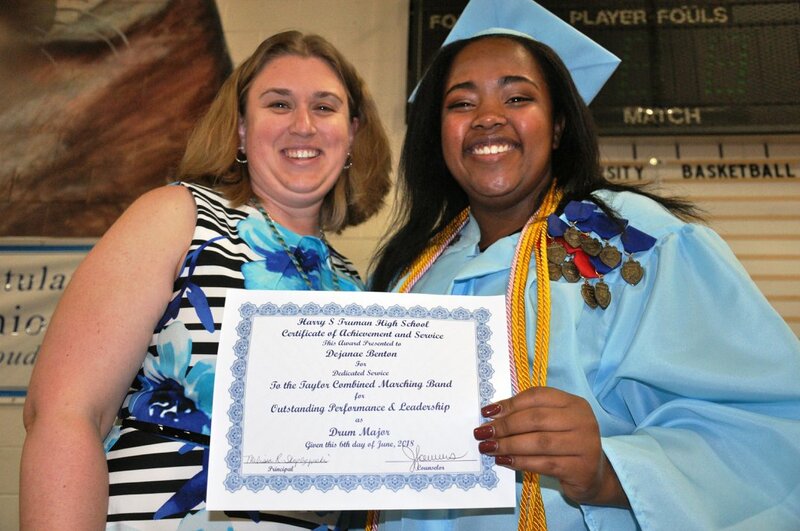 The Taylor Public School Foundation for Educational Excellence presented scholarship to graduating seniors. Former educator Ken Nelson represented the foundation and conducted the program. 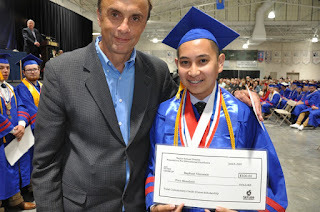 • Tomi DaSilva ($500) Robert and Mary Merman Award.